Various types of store bought products are kept in a kitchen or the medicine cabinet. The most common are hygiene products, cleaning products, and items for first aid. One item in most homes that has many uses is hydrogen peroxide. Everyone should have a bottle of this product on hand when a need to treat minor skin wounds occurs. Treating cuts and other minor skin wounds is the most common use for this product, but there are several other uses you may not know. Hydrogen peroxide is ideal as a health and beauty product, as kitchen and bath product, and for other uses around the home. If you do not have a bottle of this product, then it will be easy to find. You can find a bottle of hydrogen peroxide at any local grocery store or drug store in your area. This is also an item you can order online if you are not close to any stores. You might be surprised to learn of the many uses for this product that are available. The disinfectant properties of this product should be reason enough to keep a bottle on hand. This is an ideal option to use as an alternative to many store bought products for simple cleaning. You can also use this as a hygiene product. Hydrogen peroxide is one product that is safe to use when a regular household cleaner is not available and when a hygiene product is not available. 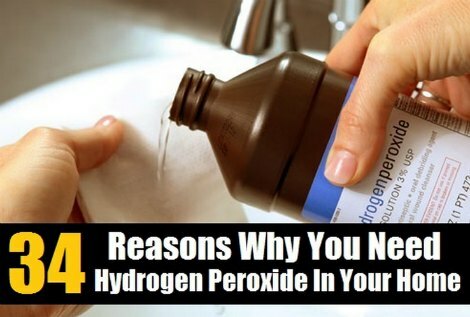 Hydrogen peroxide is a versatile product many people overlook when at the store. The reason is due to the constant advertising for store bought cleaners. These cleaners have dangerous chemicals that are not found in hydrogen peroxide. The best thing about this product is the cost is minimal compared to a range of store bought products in your home.